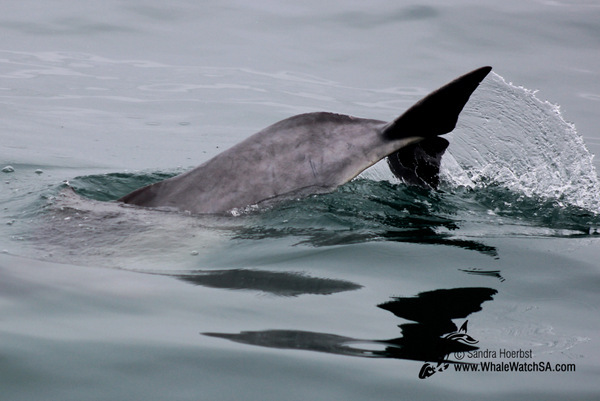 Humpback dolphins again, how lucky. 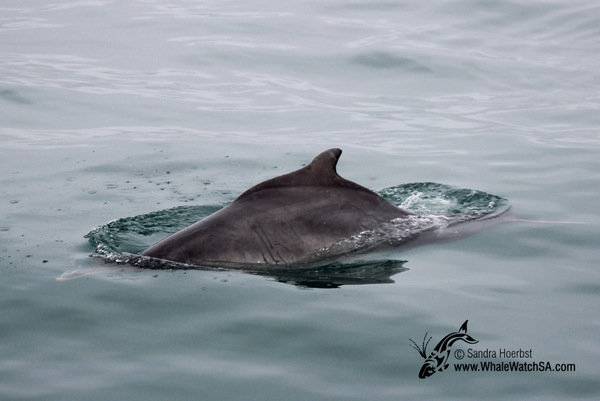 Although it was overcast and drizzling during the trip we had amazing sightings. 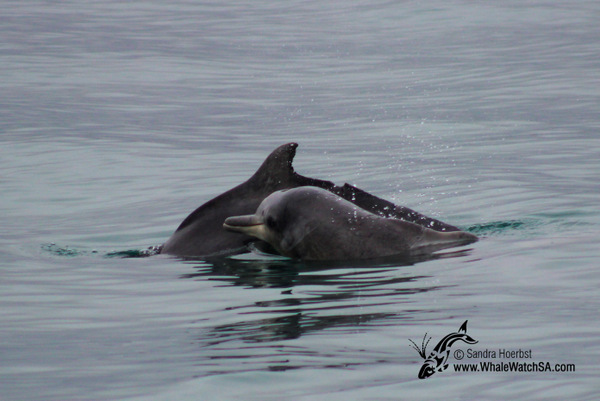 After seeing some African penguins in the water, we spotted a big group of Humpback dolphins. 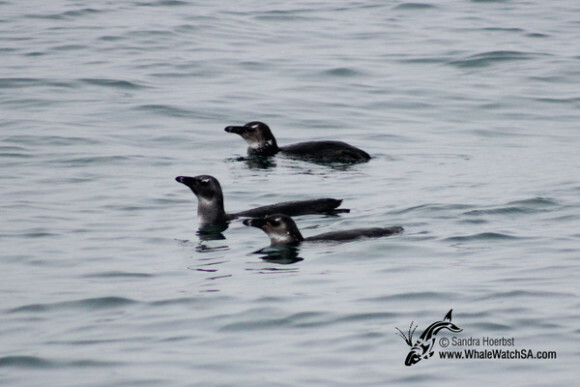 They were busy hunting for some fish. 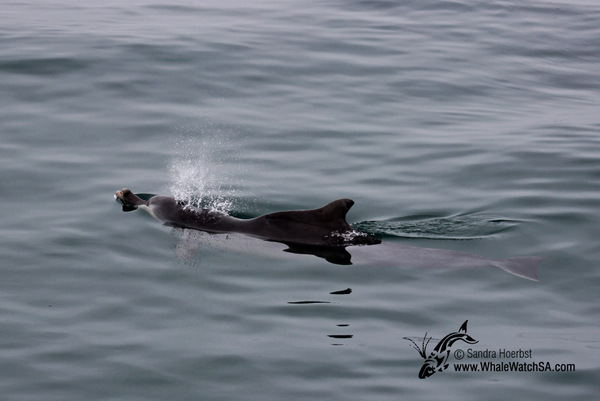 We did spend quite a while around the dolphins as they are always so fascinating to watch. On our way to Dyer Island we were passing the shark cage diving vessel. 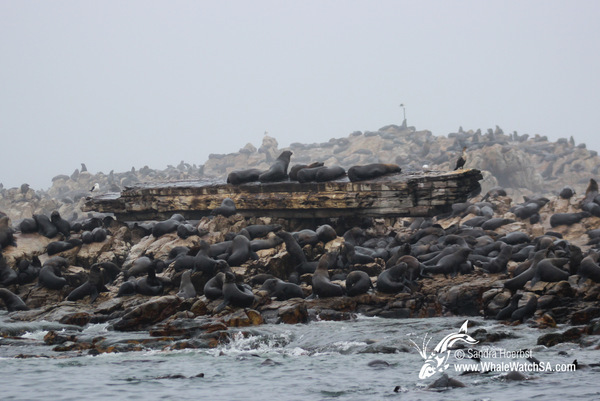 Arrived in Shark Alley we watched the Cape Fur seals, most of them were lazy today and laying on Geyser Rock.